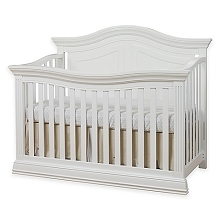 Classic style with fluting and gently curved front and back panels. 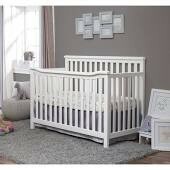 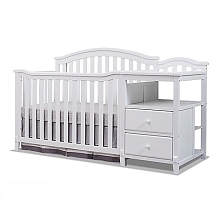 All-in-one crib with changer and storage drawers. 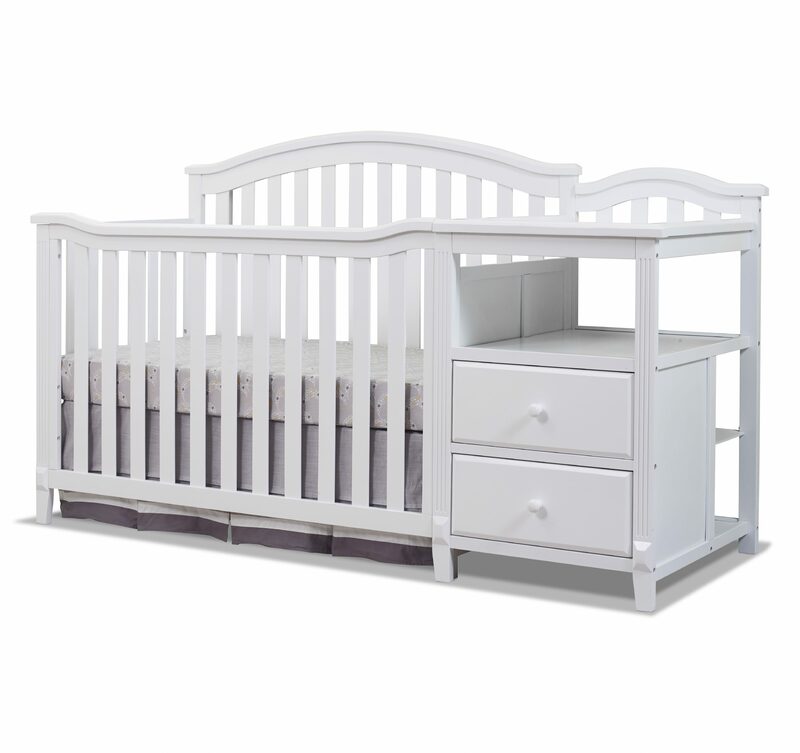 Features sturdy construction in a durable painted finish. 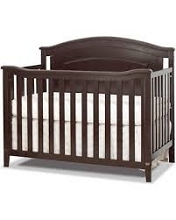 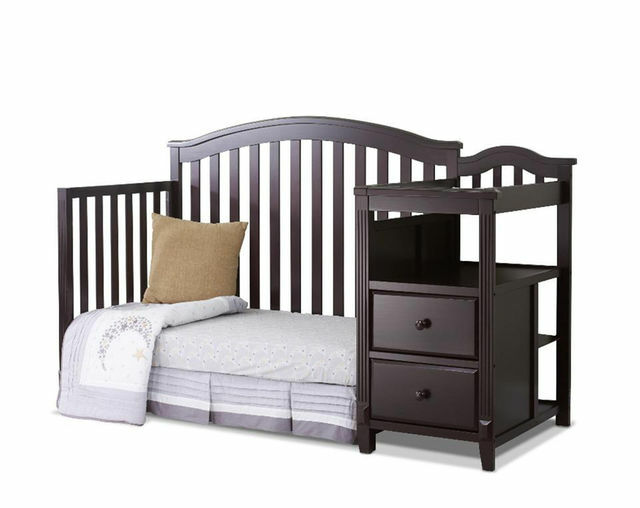 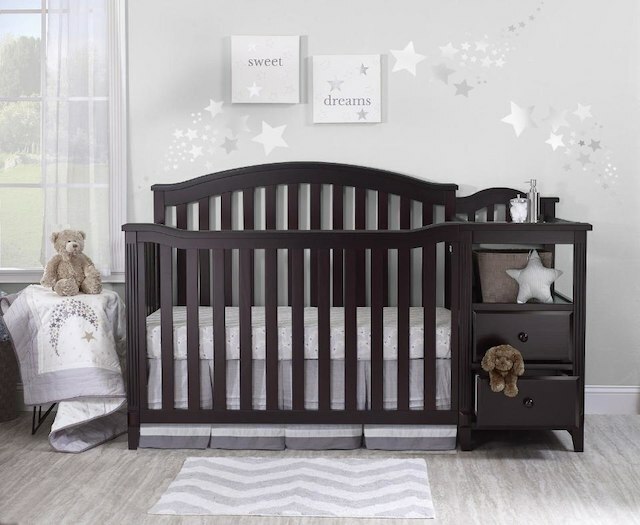 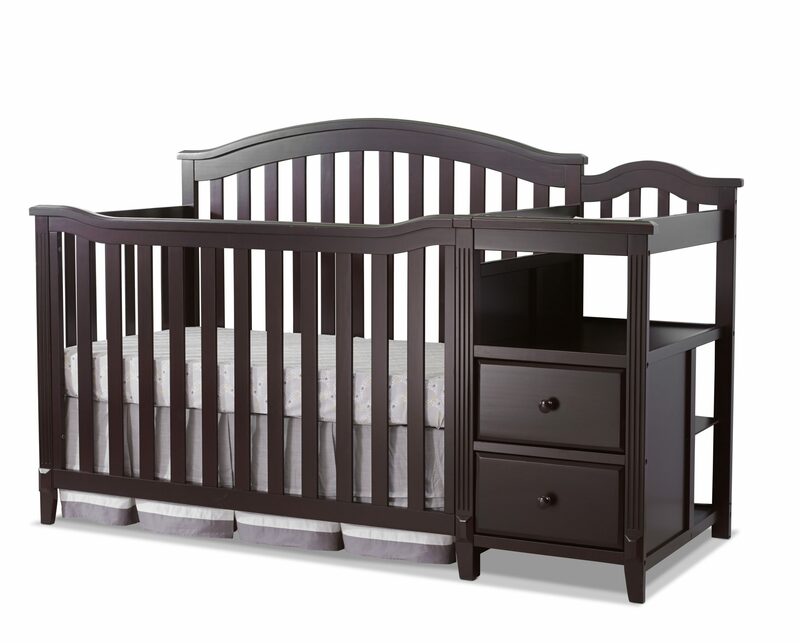 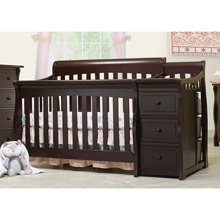 This crib and changer converts into a toddler bed, day bed and finally a full size bed. 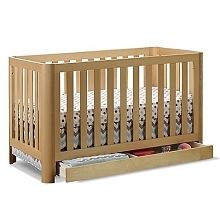 The toddler and adult rails are not included, if you need to purchase the rails they are available on babiesrus.com as well. 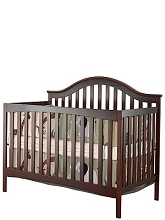 70" X 32" X 44"